Handicraft ItemsJaipur Handicrafts OnlineConch shaped wooden dry fruit box with meenakari detailing. Conch shaped wooden dry fruit box with meenakari detailing. 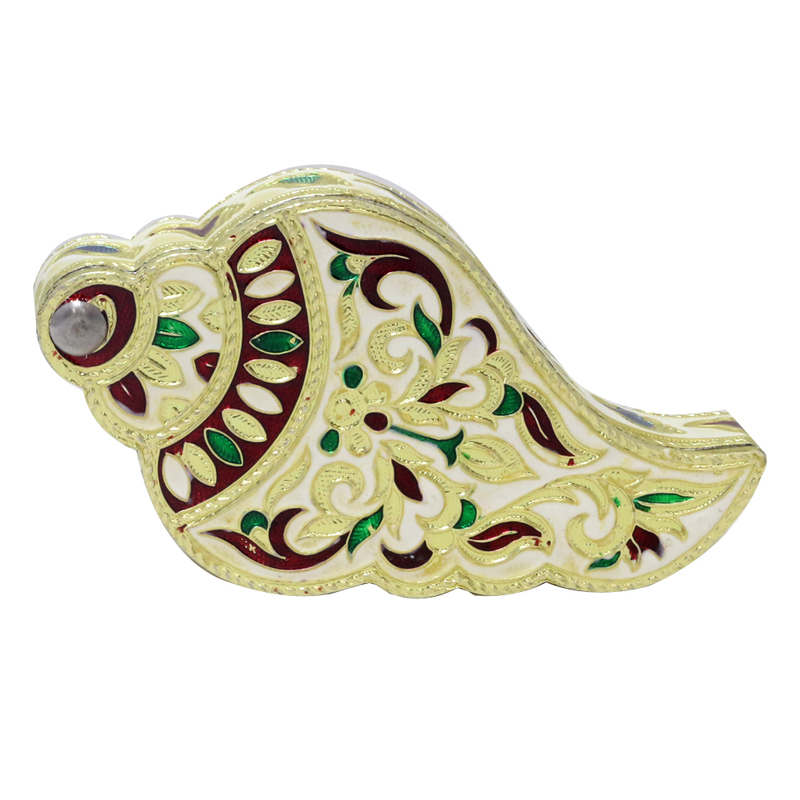 Shaped to look like a conch, this dry fruit box speaks for ethnic design with the meenakari work etched on top. Bring out your eternal gem in this festive season with this amazing dryfruit box and wait for the receiver to drop their jaws long enough. Read More..Perfected with meenakari work, it is meant to store dry fruit and since its made from wood its not way too heavy and perfect for storage anywhere. Show Less..